Hello everyone and warm greetings from the very heart of Berlin! The last month I have done an internship at the office of YEN in Berlin and I am so glad about it. 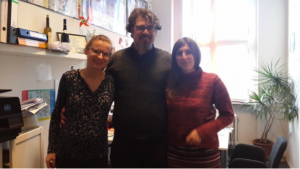 This was an exceptional opportunity not only to know the people, who are working on the problems and questions that move me, but also to get an overview of the cultural diversity in Europe. I am glad to get the idea of how to unite different people, how to develop new ideas and achieve goals together. My internship place I got through the organization Dekabristen e.V., for which I am very grateful. 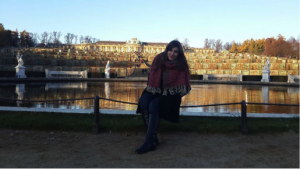 A few words about me: My name is Tamara Arnaut, I am 29, I am from the Republic of Moldova and at home I mostly deal with teaching the German language. Although I come from Moldova and belong to the Moldavians, I am a Gagauz. You may wonder: What kind of the nationality is it? To answer this question, I will take you on a virtual journey through Gagauzia. Once a poet wrote about us: “The Gagauz people is a small and mysterious nation.” In my opinion, he was absolutely right. We speak a Turkish language, but unlike other Turkish people who are Muslims, we are Christians. According to historians, we are neither Turks, nor Bulgarians, nor Greeks, but simply Gagauz people. It is due to our ancestors, an ancient Turkish people, that our wonderful language, rich culture and unique traditions have been preserved for centuries. And now, I want to invite you into my Gagauzia. 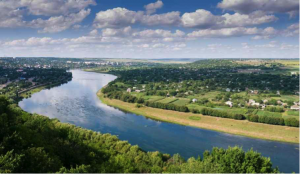 The autonomous region of Gagauzia (speak: Gaga-uzia) is situated in the South of the Republic of Moldova. The Gagauz people have their own government and administration, their own university and with Gagauz their own language. The highest political representative is “Bashkan” and has his seat in the capital Comrat. After the end of communism, Gagauz people, now autonomous, have settled it peacefully with the Moldovan motherland government. Tourists are lured by Gagauzia with sun, wine and hospitality. 155,000 people live in 26 municipalities including four cities. With 86 percent of the population, the Gagauz people are the largest ethnic group. But there are Moldovans, Bulgarians, Russians, Ukrainians, Belarusians, and Poles. To this day the coexistence of all peoples is characterized by tolerance and harmony. In all these years there were no interethnic conflicts. “We are the descendants of wolves,” my grandmother explained to me when I was a little child, when she showed me our coat of arms with the predator. According to the legend after a devastating attack of the enemies a wolf had found a little boy in the forest, who had miraculously survived, so he took care of him. This boy became the ancestor of the Turks. Historically, we were enslaved many times by other peoples, but every time we have regained our freedom. I always keep these words in my heart and identify myself with my people and my culture. The classical songs as well as dances are mostly full of spirit and charisma; just so as the people in this small and sunny place of the world are. I want to take you now in the conference hall of the university. Herewith I direct your attention to the walls rugs that decorate the wall with the images of Ataturk and Stefan the Great, the Romanian-Moldovan prince. That brings us to the fact that the territory was historically alternating among different domains (Ottoman, Russian and Romanian). As you have already understood, I would like to explain to you the political state of Gagauzia. 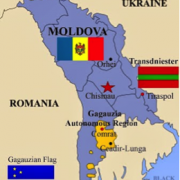 Gagauzia declared itself independent on August 19, 1991, followed by Transnistria in September. Some believe that these movements have prompted the nationalist Moldavian front to weaken the pro-Romanian line and to work for the rights of minorities. However, “independence” did not last long, in February 1994 Moldavian President Mircea Snegur declared against the independence of Gagauzia and announce it as an autonomous region of Gagauzia. But the autonomy of Gagauzia is deep-seated in the Moldovan constitution. This entitles us, among other things, to the right to an independent administration and an independent educational system, as well as the recognition of our language as an official language. 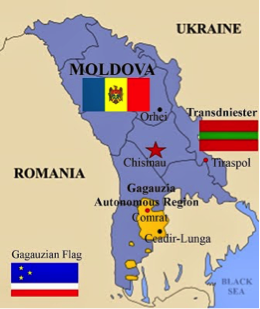 If Moldova loses the status of an independent state, Gagauzia becomes an independent state under the Constitution. The legislature is called the Parliament, “Halk topluşu” (National Assembly). Since 1998 exists the democratic constitution. Gagauzia is governed by a prime minister, elected directly for four years. This item has the Gaussian name “Başkan”. At the last elections in March 2015 won Irina Vlah, she is the first woman in this position. Our people have in fact become a nation status in the modern sense, with on the one hand all the basic principles of statehood, territoriality, cultural and psychological characteristics and the unmistakable presence of their ethnic and cultural diversity and, on the other hand, some unique historical advantages which we must clearly understand and as a result make the best use and implementation. Now we have to get an insight into the education system of Gagauzia. 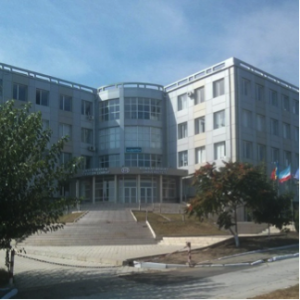 Gagauzia has fifty-five schools, the Comrat Educational College and the University of Comrat, where is taught in gagauzian. The state university has 18 chairs, 250 lecturers and 2500 students; the most efficient are in the entrance hall in color to see. 300 lei monthly, about 36 euros, is the highest scholarship. From the year 525, when Turkish tribes were united, till to the present, the university, through archaeological discoveries, art and craft, literature and photography, is the continuity of Gagauz history presented. Turkey finances the creation of a Turkish cultural center and a Turkish library to demonstrate Turkey’s ties with the Turkish Gagauz people. Turkey also promotes a small autonomous region, with its two enclaves, the villages of Copceac and Carbolia. In order to promote the preservation and presentation of the Gagauzian culture, a gagauzian historical ethnographic museum by Dimitriy Kara Coban was opened in the village of Beşalma. Now I would like to say goodbye to you, our guided tour is unfortunately at an end. I hope you have enjoyed it and you got an idea of my homeland. If you want to get to know this small and wonderful country and people closer you are always welcome, we are the most hospitable people in the world! YEN VIDEO COMPETITION What’s going on in Carinthia, Austria?